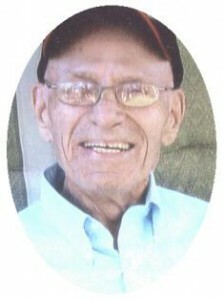 Milton P. Roepke, 92, of N Webster Street in Port Washington died Saturday, November 19, 2011 at his residence. He was born June 11, 1919 in Milwaukee to Robert and Ann Sauber Reopka. He graduated from West Division High School in Milwaukee and enlisted in the Army, serving in Northern France during World War Two. He married Jane Inkmann at St. Michael’s Church in Milwaukee on June 22, 1946. In 1962 they moved to Port Washington and lived in the home he built. His wife Jane preceded him in death July 30, 2005. Milton worked at the Wisconsin Electric Power Plant as a Generator Wiper for 33 years retiring in 1982. He was a member of the Wisconsin Electric Electrical Union. After retiring he did maintenance at McDonald’s in Port Washington for 10 years. Over the years he played pool for the King of the Hill Tavern League and with the Port Senior Center Green Felt Club. He enjoyed fishing, especially for Northern Pike and was an avid bowler. He will be remembered as having quite a sense of humor. He is survived by his daughter Julie Roepke of Port Washington and granddaughter Ashley Kidd of Grafton. Further survived by brother Robert (Mildred) Roepke of Milwaukee, other relatives and friends. Preceded by his wife Jane. Rev. Thomas Lijewski and Ozaukee Memorial Post 5373 will officiate services 11:30 am Saturday, November 26, 2011 at the St. Mary’s Cemetery Chapel in Port Washington.